The City of Youngsville will be competing in the Louisiana Garden Club Federation, Inc. State Cleanest City Contest! Youngsville competed in the LGCF District III Cleanest City Contest on Wednesday, April 4, 2018. District III Cleanest City Contest Chairmen Gwen Lanoux and Patsy Hebert stated that, “Youngsville excelled in the District III Contest. The judges were impressed with the overall cleanliness of the city and the extent of civic pride and community involvement.” Judges for the District III CCC were LGCF members Pam Langley. Ann Corbello, and Roxanna Champagne. The State Cleanest City contest will be held during the last week of April, 2018 and first week of May, 2018. The exact date for judging in Youngsville will be announced by State Cleanest City Contest Chairperson, Jean Gilstrap. 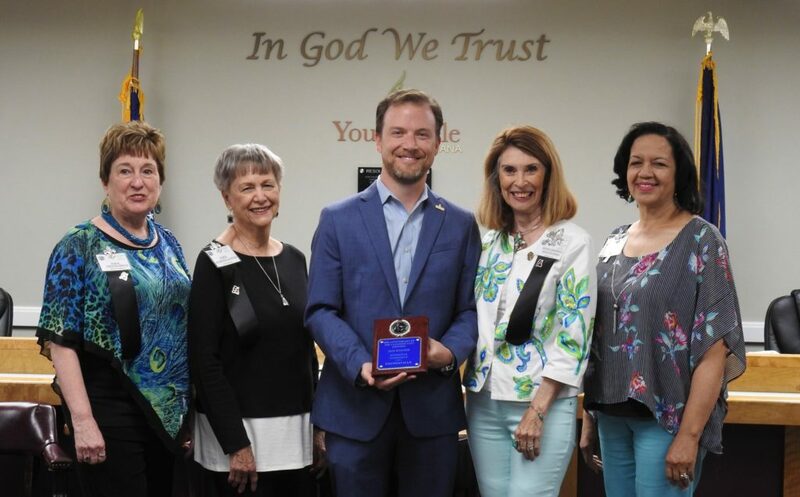 The city of Youngsville is sponsored by the Lafayette Garden Club which is a member of National Garden Clubs, Inc., Deep South Garden Clubs, Inc., Louisiana Garden Club Federation, Inc., District III.